Automation expertise is one of Sanmina’s core strengths. Customers utilizing automated processes for their medical products lower their total costs while speeding production—all while preserving the highest quality and maintaining full compliance with regulatory agencies. The engineers within Sanmina’s dedicated medical division provide one-on-one design consultation to help every customer benefit from automation opportunities. Automation provides a competitive edge. To support the production goals of medical product customers, Sanmina has made substantial investments in automated assembly processes. Getting a medical product to market faster and more economically is now easily accomplished at manufacturing facilities around the globe. 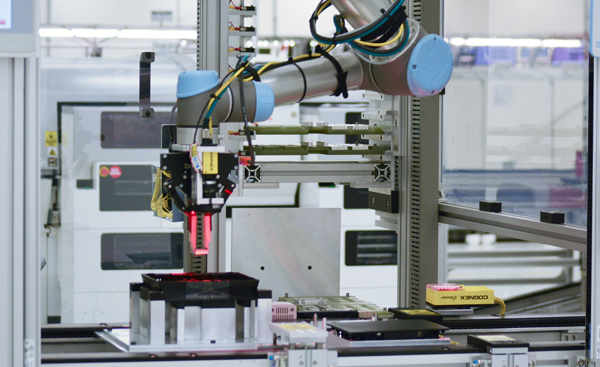 Many of the most successful customers in the healthcare industry now conceive their medical products with the singular intention of incorporating automated assembly. Today, Sanmina manufactures more than nine million medical devices per year for such customers.